Disruptive technology is causing significant changes in the healthcare industry. To survive the tide, it’s important that businesses in healthcare keep track of the new trends and adapt accordingly. Here are six key technology-driven trends that are changing the way healthcare is delivered, accessed and managed. With the evolving threat environment and rapid digitization of healthcare, there’s mounting pressure on the healthcare industry to bump up its investment in cyber-security. According to IBM, the healthcare industry experiences the highest number of cyber-attacks. Data breaches and attacks such as the recent WannaCry Ransomware have targeted the healthcare industry for sensitive data such as patient medical history, credit card details, email addresses and phone numbers. These attacks cost the healthcare industry billions of dollars each year. To offset the threat, healthcare organizations will need to improve their security infrastructure and increase their cyber security investment. Telemedicine, or providing healthcare services remotely, is fast gaining ground in developing countries. Driven by the need for easier access to medical care and the availability of faster internet connections and connected devices, telemedicine is poised to become the next big thing in healthcare. As telemedicine and telehealth become more mainstream, healthcare providers will have to rethink how they invest in medical real estate while providing quality care that customers expect. Several insurers have started to provide telemedicine services, rather than paying for a plan members choose from another provider. Medical-grade wearables are on their way to revolutionizing patient care. These wearables come under the regulated medical device territory and are designed to monitor, diagnose and manage chronic conditions. This is done by gathering patient data and integrating it with their health record to support better diagnosis and treatment. Cambridge, Massachusetts-based Empatica, for example, has developed a medical-grade wristband Embrace that monitors seizures to improve the lives of people with epilepsy. The medical wearable device market is set to experience immense growth, driven by growth in devices aimed at combating diabetes, sleep disorders, and cardiovascular diseases. Healthcare players are betting high on big data analytics in hope to discover hidden patterns and insights to make better decisions. Many healthcare organizations are leveraging big data analytics to predict epidemics, inform medical R&D, and analyze patient lifestyle and medical history to provide better-targeted treatments and avert fatal illnesses. Investments worth millions of dollars are being made for the research and development of connected medical devices with an aim to capitalize on the IoT opportunity. 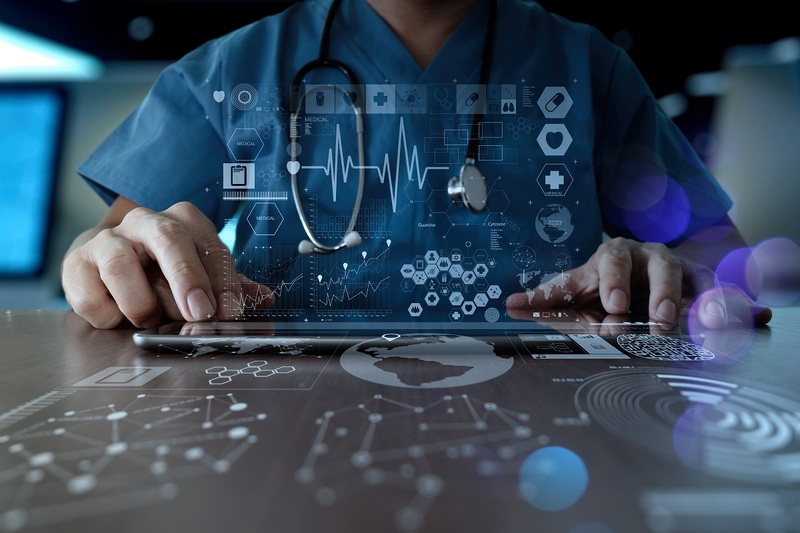 The estimated number of Internet-connected medical devices is expected to increase from 73 million devices in 2016 to 161 million device installations in 2020, according to a BI Intelligence report. Some of the key products include insulin pumps and pacemakers that can interact with networked computers. Artificial intelligence (AI) is making steady inroads into modern healthcare. The growing usage of smart devices, big data and the presence of major software providers such as Google, IBM, and Microsoft have propelled the growth of AI in the healthcare market. AI is being used for diagnostics and medical imaging, studying genomics-based data for personalized medicine, in-patient care and hospital management, patient data and risk analysis, and research. Understand the impact of technology in your industry and gain insight into making it a business opportunity. Speak to us to learn more.